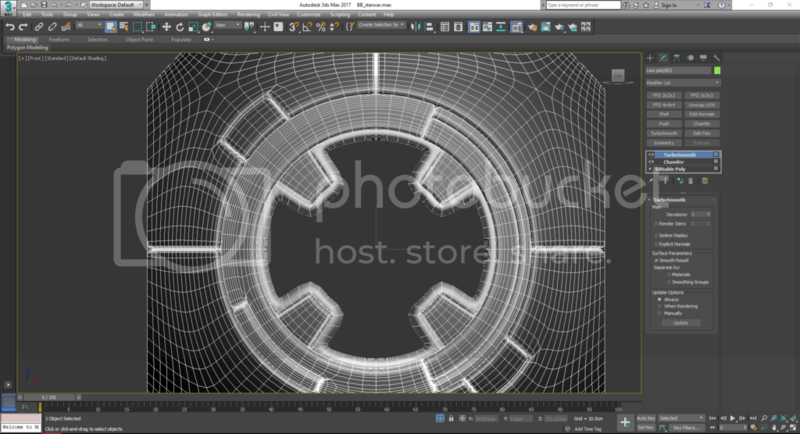 I'm beginner in 3dsmax and i'm following the tutorial Star war: Droid. 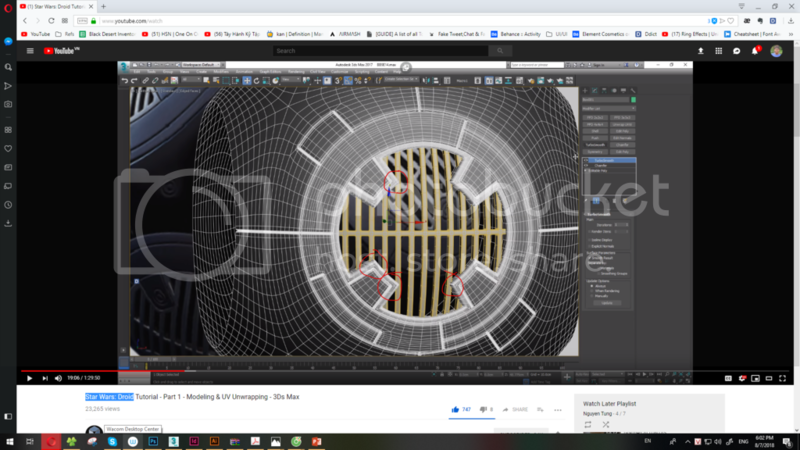 In this step to make TurboSmooth, my model is too smooth, it's so different in video, and i dont know how to fix or modify it looke like video. I did it 3 times and have the same issue, even do it step by step. Can anybody explain me what is going on with my model, and how to resolve that? 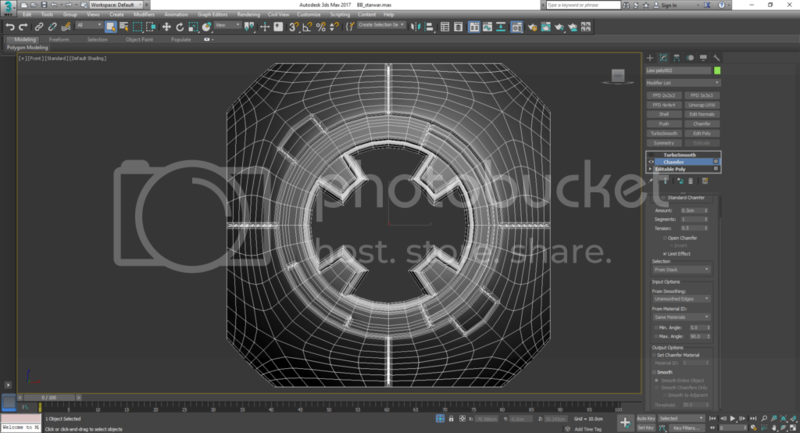 My model is so different, you can see on picture with red circle.